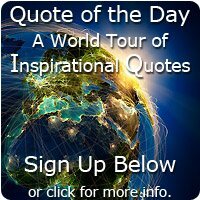 Michelangelo Quotes - A Top 10 list of the beautiful and best of Michelangelo. 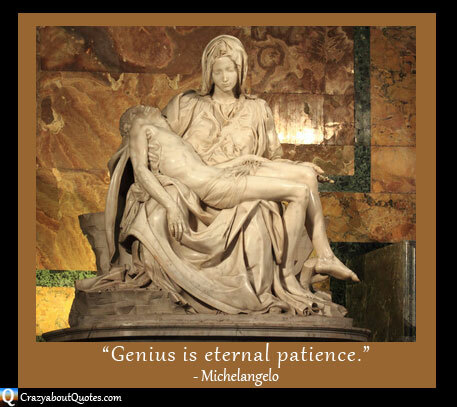 I know you'll enjoy these Michelangelo quotes, as they contain some of the breathtaking beauty that he displayed in his many masterpieces. Michelangelo at 24 years of age, sculpted this Pietà from a single block of marble. I've been fortunate enough to see this with my own eyes; just breathtaking brilliance. Profile: Michelangelo Buonarroti was born in Caprese, Italy in 1475. His mother died when he was 6. At 13 he was apprenticed to a prominent painter of the time in Florence but after a year the arrangement was switched and he went to live with the Medici (ruler's of Florence) family and was taught the art of sculpting. Michelangelo completed his first sculpture age about 17. When the Medici lost power in Florence he went to Bologna, then Rome, where he got his first break-through commission in 1498, the Pietà which is displayed in St Peter's Basilica. By the time Michelangelo returned to Florence in 1501 his fame had grew and he went on to work on the ceiling of the Sistine Chapel in 1508 and the end wall (Last Judgement) in 1536. In-between these huge projects he completed various works for different popes who were determined to have his work for themselves and their families. Michelangelo concentrated mostly on architecture and poetry from 1545 onwards. Leaving over 300 poems, and pushing the boundaries of his time in architectural design. He died in 1564. One of the all time great artists, he lived to 88 outliving 13 popes and created some outstanding masterpieces that we can still enjoy to this day. unless it be through Earth's loveliness." but in setting our aim too low, and achieving our mark." "Faith in oneself is the best and safest course." "I hope that I may always desire more than I can accomplish." my every pain is born."